A beautiful town in the province of Cosenza, formerly known as Casale Fuscaldo, that reveals with its name, Guardia Piemontese, its origins and its history. It was founded between the XII and XIII centuries by the Waldenses, a population of Germanic origins, that also settled on large scale in Piedmont, that sheltered here to escape from a continued Protestant persecution, and lived here in peace with the local populations of Catholic faith for about two or three centuries. Following the accession to the Protestant Reformation, Cardinal Michele Ghislieri, future Pope Pius V ordered, also in Italy, a real persecution against the Waldenses of Piedmont and Calabria. On the evening of June 5th, 1561, about 118 Waldensians of Guardia Piemontese were assassinated and the chronicles of the time report of a massacre of such a magnitude, that the blood flowed through the streets and through the main entrance gateway, today known as "Gate of blood", reaching the nearby countryside. The old town still presents features that remember the tragic fate that touched the Waldensians, in fact, on some old doorways are still present peepholes, opened only from the outside, that allowed the Dominican monks to check that the Waldensian familes, forcibly converted to Catholicism, did not continue to practice their old religious rites in the privacy of their homes. The Guardiolo, a local dialect commonly spoken in Guardia Piemontese, is the only example of the Occitan language in Southern Italy; other communities are present only in Liguria and Piedmont. 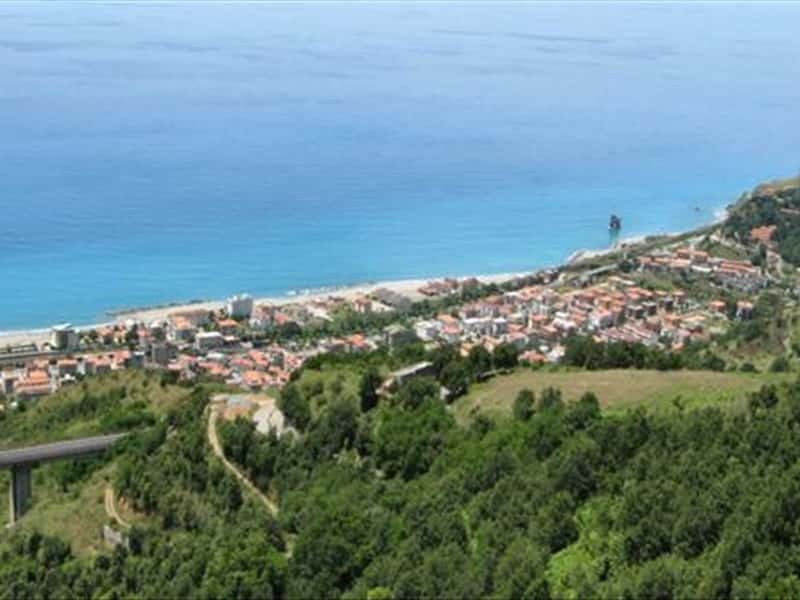 The town shares with the nearby town of Acquappesa, the Luigiane Thermal Baths and Spa area. - the Watchtower, dating back to 1000, part of the defensive system built to protect the area from the Saracen raids. This town web page has been visited 28,160 times.